I quietly added ONVIF support to recent versions. With your support, hopefully it’ll get better over time. Next, for those of you that download the Android app directly from my site, the next version will support upgrade via Bitcoin or Paypal. 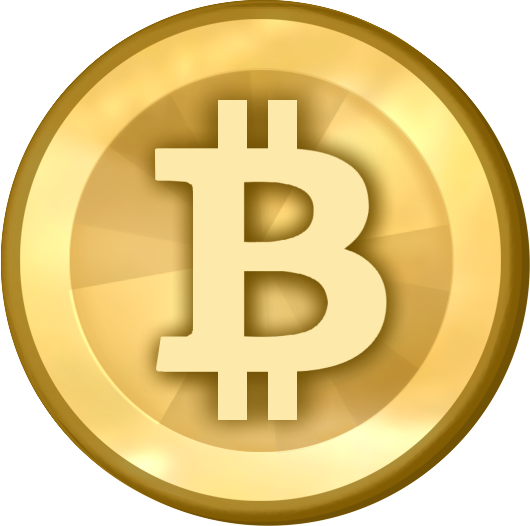 Bitcoin has really come a long way with tools and ease of use. See http://bitcoin.org for more information. IP Cam Viewer is in a BBC technology article posted today! It was also in Episode 1 of the BGR Show this summer, under home automation. Did you know you can actually watch BBC in the android version? Finally, IP Cam Viewer now has generic RTSP support. The means more devices supported, like mpeg4 devices and audio for some existing cameras. Over the next few releases, I will fix bugs in the new stack and try to speed it up. Also, it’ll be a mad dash to add more devices. I’ve collected together some ski resort webcams in the Lake Tahoe CA area for everyone to enjoy. See my post linked above. Just click on the links in the post using your mobile browser to import them into IP Cam Viewer. You’ll need IP Cam Viewer for Android version 4.2.5+ or IP Cam Viewer for iOS version 1.5.3+ installed for the mobile browser to recognize the links. ps. see the Tech Tip at the end of the above linked article for instructions on how to create your own camera packs which users can import simply by clicking on a link in a website. ps.ps. I’ve added more cameras packs into the above link, including cruise cams, zoo cams, and world news live feeds. From the dead! Pro and Lite coming back. Google is helping me bring them back! Hold on tight, it’ll happen over the next 24 hours! It seems the app description had issues so I while I’m updating the code, I’ll need to bring it back down so I can go over the text when they contact me to make sure everything is kosher. Background: As you probably know, the Pro version was pulled from the Market on 10/12/2011. Since my Lite version was pulled earlier, I obviously have not figured out what Google was unhappy with. I was tired and defeated. Try to fix it again and risk being banned. Don’t do anything and watch 3 years of hard work slip away. Since my earlier attempts to contact Google for help did not work, I decided it was time to reach out to the press, blogs, forums, websites, news sites, podcasts and anyone I could contact for help. My goal was to make enough noise to get someone at Google to help. Within an hour, OMG!Droid reached out to me and offered to write a post. Just speaking with Chris helped. He really cared and wanted to write a balanced story. I breathed a little better. What happened next really surprised me. A kind sole, who doesn’t know me (but I’ve seen him at multiple conferences from a distance), read my email and forwarded it to someone at Google who started the ball rolling. So now, I’m waiting for Google to contact me and hopefully get this thing straighten out once and for all. Well, the upper managment mean well and tried but the market support folks must work out of the old KGB offices. I only have the ONE extra email hinting at the app description and which gave my app back. Don’t get me wrong, I’m very grateful for that but it would have been good to know *what* text was the issue so I can avoid it from happening *again*. So, I’ve edited the app description to a minimum, removed all web links to my website for help or device support, and removed the list of brands supported (except for some major brands). Look at the description here. It’s so bland, I don’t know what else it could be (email me if you find an issue: robert[dot]chou[at]gmail[dot]com). Posted in IP Cam Viewer - Android | Comments Off on From the dead! Pro and Lite coming back. 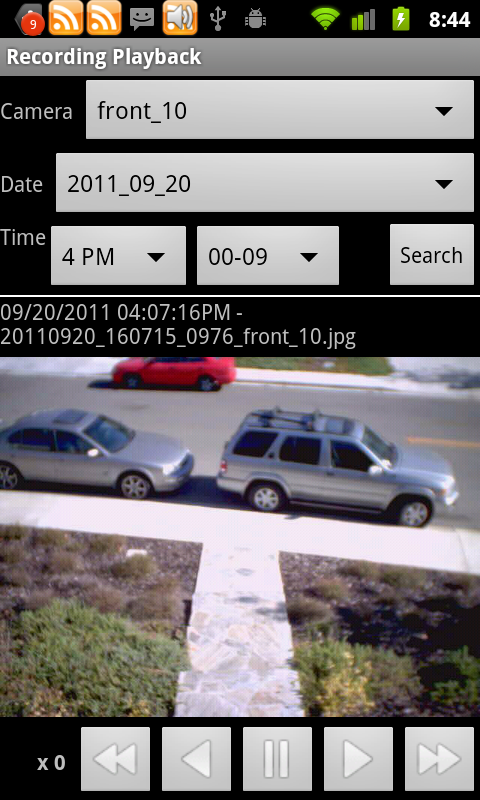 Users of IP Cam Viewer often email me about how they use my app to monitor their baby, home, rental, pet or business. Sometimes, users report their cameras catching thieves in the act or their cameras helping them solve problems. Here are snippets of 2 emails I got recently. I was sitting at my desk at work and glanced down at my iPod touch where I usually watch my four cameras at home (I use my Droid X when I’m away from my desk) when I noticed some unfamiliar people inside of my house and a strange car in my driveway. I quickly phoned my son to make sure it wasn’t him (it wasn’t, he was still asleep) and then called 911 to report that there were people in my house that weren’t supposed to be. I watched as the burglars finally realized that I had cameras and saw them move them aside and unplug them (they missed the one pointing outside to the driveway, though). Anyway, within about a minute of calling 911, I saw a police cruiser pull-up to my house, quickly followed by a second. Long story short: both burglar’s apprehended and pretty much everything recovered (although we’re still putting things back and dealing with the disarray and kicked-in front door). Anyway, all of the police were very excited, to say the least, that they were able to catch the guys in the act and fleeing my premises. They all wanted to know how I had things setup, etc. and I told them about IP Cam Viewer, etc. I’m going to be writing-up setup instructions for them so they can install cameras in their houses as well. One thing I wasn’t able to provide them was a video or recording–sadly, I wasn’t using this feature of your app at the time, but I’d like to have some DVR functionality just in case this ever happens again. I played around this morning with the recording and playback feature of IP Cam Viewer on my Xoom this morning, but I had a little trouble swiping on the screen to change cameras in the playback feature–changing which camera is selected and/or whatever swipe direction does not seem to advance me to the next camera (and I can see that there are indeed images recorded for the other cameras in the record folder for the selected timeframe). Thanks again for a great app, for keeping it updated so often and adding new features–I’m sure you’ll have a few new customers due to my recent incident ;). v4.1.5 has Recording Playback and Video Export! Finally, IP Cam Viewer v4.1.2 has a new Recording Playback screen to search and playback recordings made in Record Mode. In addition, v4.1.5 has a new Convert to Video File screen to extract recorded data as a single video clip. Use Windows Media Player or RockPlayer Lite for Android to playback recording. As for a good android tablet for Record Mode, I use the Acer Iconia A500. It’s cheap and has a full USB port. I bought a 500GB 2.5 in laptop hd for $50, put it into a $10 enclosure, formatted it to FAT32 using “fat32format.exe“. Connect it and change the record path in my app to “/mnt/usb_storage/IpCamViewer/Record”. That should cover 6 cameras, at 24×7 recording, for ~30 days. Posted in IP Cam Viewer - Android | Comments Off on v4.1.5 has Recording Playback and Video Export! IP Cam Viewer Lite, has received Best Software Award 2011 in Utilities category! Here’s another set of videos by Celius using IP Cam Viewer. Argh… No specific reason given but my free version of IP Cam Viewer got pulled today from the Android Market by Google, after 1.3 million plus downloads and a 4+ start rating. I supported it day and night to get 9000+ reviews. All gone. For existing and new users, the free version is available for download from here. Until Google replies with a reason, I can’t release another free version on the market. It will always be available directly from me so this method is better anyway. This version also let’s you upgrade through paypal (no market dependencies). Just send $3.99 to “robertchou@gmail.com” using paypal and I’ll send you an unlock code (the pulled free version used Google’s in-app purchase for upgrade). 1) wait for developer to spend tons of time building apps for your market and answering user questions regarding the crappy market bugs/issues. 2) reject, up to 3 years later, without giving any explanation. 3) count as developer *guesses* wrong with new releases, and on count of 3, wipe out entire account removing ALL other apps. On a personal note, I’m sadden to see the lose of this app. I launched it back in late 2008, when the market first opened (since day one). Lots of users have helped me build it to this point and I cared for it almost like a child. ps. Still no response from Google. They talk good, but with a bad track record, I now see them as a heartless/sole-less data-mining machine. Oh well, there’s other markets and other opportunities to explore. ps.ps. I’m guessing they pulled it because of the app description where I list the brands of devices that are supported. I worked hard over 3 years to build that support and it’s what people are searching for. For a search company, this is really a stupid reason. Just finished updating the online help to match version “3.9.7”.